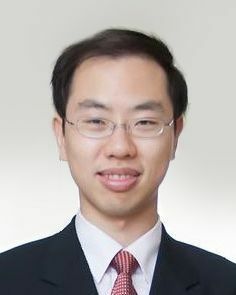 My research interests include cyber-physical systems (CPS), connected and autonomous vehicles, security, system design methodology, and model-based design. I worked for Toyota InfoTechnology Center, USA, Inc. before coming back to NTU in 2018. My recent projects cover diverse topics including, but not limited to, security and robustness of connected and autonomous vehicles, intelligent transportation systems, system engineering (verification, testing, and simulation), and edge computing. C.-W. Lin, B. Kim, and S. Shiraishi, "Hardware virtualization and task allocation for plug-and-play automotive systems," accepted and to appear in IEEE Design & Test (D&T). B. Zheng, C.-W. Lin, S. Shiraishi, and Q. Zhu, "Design and analysis of delay-tolerant intelligent intersection management," accepted and to appear in ACM Transactions on Cyber-Physical Systems (TCPS). M. Sayin, C.-W. Lin, S. Shiraishi, J. Shen, and T. Başar, "Information-driven autonomous intersection control via incentive compatible mechanisms," in IEEE Transactions on Intelligent Transportation Systems (T-ITS), vol. 20, no. 3, pp. 912--924, Mar. 2019. C. Liu, C.-W. Lin, S. Shiraishi, and M. Tomizuka, "Distributed conflict resolution for connected autonomous vehicles," in IEEE Transactions on Intelligent Vehicles (T-IV), vol. 3, no. 1, pp. 18--29, Mar. 2018. T.-Y. Huang, C.-J. Chang, C.-W. Lin, S. Roy, and T.-Y. Ho, "Delay-bounded intra-vehicle network routing algorithm for minimization of wiring weight and wireless transmit power," in IEEE Transactions on Computer-Aided Design of Integrated Circuits and Systems (TCAD), vol. 36, no. 4, pp. 551--561, Apr. 2017. H. Yu, C.-W. Lin, and B. Kim, "Automotive software certification: current status and challenges," in SAE International Journal of Passenger Cars---Electronic and Electrical Systems, vol. 9, no. 1, pp. 74--80, May. 2016. C.-W. Lin, L. Rao, P. Giusto, J. D'Ambrosio, and A. Sangiovanni-Vincentelli, "Efficient wire routing and wire sizing for weight minimization of automotive systems," in IEEE Transactions on Computer-Aided Design of Integrated Circuits and Systems (TCAD), vol. 34, no. 11, pp. 1730--1741, Nov. 2015. C.-W. Lin, L. Rao, J. D'Ambrosio, and A. Sangiovanni-Vincentelli, "Electrical architecture optimization and selection---cost minimization via wire routing and wire sizing," in SAE International Journal of Passenger Cars---Electronic and Electrical Systems, vol. 7, no. 2, pp. 502--509, Aug. 2014. C.-W. Lin and A. Sangiovanni-Vincentelli, "Cyber-security for the Controller Area Network (CAN) communication protocol," in ASE Science Journal, vol. 1, no. 2, pp. 80--92, Dec. 2012. C.-W. Lin, P.-W. Lee, Y.-W. Chang, C.-F. Shen, and W.-C. Tseng, "An efficient pre-assignment routing algorithm for flip-chip designs," in IEEE Transactions on Computer-Aided Design of Integrated Circuits and Systems (TCAD), vol. 31, no. 6, pp. 878--889, Jun. 2012. C.-W. Lin, S.-L. Huang, K.-C. Hsu, M.-X. Lee, and Y.-W. Chang, "Multi-layer obstacle-avoiding rectilinear Steiner tree construction based on spanning graphs," in IEEE Transactions on Computer-Aided Design of Integrated Circuits and Systems (TCAD), vol. 27, no. 11, pp. 2007--2016, Nov. 2008. C.-H. Liu, H.-Y. Liu, C.-W. Lin, S.-J. Chou, Y.-W. Chang, S.-Y. Kuo, S.-Y. Yuan, and Y.-W. Chen, "An efficient graph-based algorithm for ESD current path analysis," in IEEE Transactions on Computer-Aided Design of Integrated Circuits and Systems (TCAD), vol. 27, no. 8, pp. 1363--1375, Aug. 2008. C.-W. Lin, S.-Y. Chen, C.-F. Li, Y.-W. Chang, and C.-L. Yang, "Obstacle-avoiding rectilinear Steiner tree construction based on spanning graphs," in IEEE Transactions on Computer-Aided Design of Integrated Circuits and Systems (TCAD), vol. 27, no. 4, pp. 643--653, Apr. 2008. T.-W. Huang, Y.-Y. Tsai, C.-W. Lin, and T.-Y. Ho, "Vehicle sequence reordering with cooperative adaptive cruise control," in ACM/IEEE Design Automation and Test in Europe (DATE), Florence, Italy, Mar. 2019. S. Raghavan, K. Watanabe, E. Kang, C.-W. Lin, Z. Jiang, and S. Shiraishi, "Property-driven runtime resolution of feature interactions," in International Conference on Runtime Verification (RV), pp. 316--333, Limassol, Cyprus, Nov. 2018. H. Liang, M. Jagielski, B. Zheng, C.-W. Lin, E. Kang, S. Shiraishi, C. Nita-Rotaru, and Q. Zhu, (Invited) "Network and system level security in connected vehicle applications," in IEEE/ACM International Conference on Computer-Aided Design (ICCAD), pp. 94:1--94:7, San Diego, CA, Nov. 2018. B. Kim, C.-W. Lin, E. Kang, N. Tomatsu, and S. Shiraishi, "Platform-independent QoS parameters and primitive APIs for automotive software," in IEEE International Conference on Intelligent Transportation Systems (ITSC), pp. 98--104, Maui, HI, Nov. 2018. I. Romeo, A. Sangiovanni-Vincentelli, C.-W. Lin, and E. Kang, "Quotient for assume-guarantee contracts," in ACM/IEEE International Conference on Formal Methods and Models for System Design (MEMOCODE), pp. 1--11, Beijing, China, Oct. 2018. T. Chowdhury, E. Lesiuta, K. Rikley, C.-W. Lin, E. Kang, B. Kim, S. Shiraishi, M. Lawford, and A. Wassyng, "Safe and secure automotive over the air updates," in International Conference on Computer Safety, Reliability, and Security (SAFECOMP), pp. 172--187, Vasteras, Sweden, Sep. 2018. D. Gangadharan, O. Sokolsky, I. Lee, B. Kim, C.-W. Lin, and S. Shiraishi, "Bandwidth optimal data/service delivery for connected vehicles via edges," in IEEE International Conference on Cloud Computing (CLOUD), pp. 106--113, San Francisco, CA, Jul. 2018. M. Sayin, C.-W. Lin, S. Shiraishi, and T. Başar, "Reliable intersection control in non-cooperative environments," in AACC/IEEE American Control Conference (ACC), pp. 609--614, Milwaukee, WI, Jun. 2018. C. Liu, C.-W. Lin, S. Shiraishi, and M. Tomizuka, "Improving efficiency of autonomous vehicles by V2V communication," in AACC/IEEE American Control Conference (ACC), pp. 4778--4783, Milwaukee, WI, Jun. 2018. K. Watanabe, E. Kang, C.-W. Lin, and S. Shiraishi, (Invited) "Runtime monitoring for safety of intelligent vehicles," in ACM/IEEE Design Automation Conference (DAC), pp. 31:1--31:6, San Francisco, CA, Jun. 2018. M. Jagielski, N. Jones, C.-W. Lin, C. Nita-Rotaru, and S. Shiraishi, "Threat detection for collaborative adaptive cruise control in connected cars," in ACM Conference on Security and Privacy in Wireless and Mobile Networks (WiSec), pp. 184--189, Stockholm, Sweden, Jun. 2018. T. Liu, J. Li, B. Kim, C.-W. Lin, S. Shiraishi, J. Xie, and Z. Han, "Distributed file allocation using matching game in mobile fog-caching service network," in IEEE INFOCOM Workshop on Integrating Edge Computing, Caching, and Offloading in Next Generation Networks (IECCO), pp. 499--504, Honolulu, HI, Apr. 2018. B. Zheng, M. Sayin, C.-W. Lin, S. Shiraishi, and Q. Zhu, (Invited) "Timing and security analysis of VANET-based intelligent transportation systems," in IEEE/ACM International Conference on Computer-Aided Design (ICCAD), pp. 984--991, Irvine, CA, Nov. 2017. T. Chowdhury, C.-W. Lin, B. Kim, M. Lawford, S. Shiraishi, and A. Wassyng, "Principles for systematic development of an assurance case template from ISO 26262," in IEEE International Symposium on Software Reliability Engineering Workshops (ISSREW), pp. 69--72, Toulouse, France, Oct. 2017. W. Zuo, L.-N. Pouchet, A. Ayupov, T. Kim, C.-W. Lin, S. Shiraishi, and D. Chen, "Accurate high-level modeling and automated hardware/software co-design for effective SoC design space exploration," in ACM/IEEE Design Automation Conference (DAC), pp. 78:1--78:6, Austin, TX, Jun. 2017. B. Zheng, C.-W. Lin, H. Liang, S. Shiraishi, W. Li, and Q. Zhu, (Invited) "Delay-aware design, analysis and verification of intelligent intersection management," in IEEE International Conference on Smart Computing (SMARTCOMP), pp. 1--8, Hong Kong, China, May. 2017. B. Aygun, C.-W. Lin, S. Shiraishi, and A. Wyglinski, "Selective message relaying for multi-hopping vehicular networks," in IEEE Vehicular Networking Conference (VNC), pp. 1--8, Columbus, OH, Dec. 2016. B. Zheng, C.-W. Lin, H. Yu, H. Liang, and Q. Zhu, (Invited) "CONVINCE: a cross-layer modeling, exploration and validation framework for next-generation connected vehicles," in IEEE/ACM International Conference on Computer-Aided Design (ICCAD), pp. 37:1--37:8, Austin, TX, Nov. 2016. C.-W. Lin, S. Shiraishi, and B. Kim, "An Amanat-based multi-party certification protocol for outsourced software in automotive systems," in IEEE International Symposium on Software Reliability Engineering Workshops (ISSREW), pp. 13--16, Ottawa, Canada, Oct. 2016. P. Joshi, V. Ganesan, H. Zeng, S. Shukla, C.-W. Lin, and H. Yu, (Invited) "Design space exploration for deterministic Ethernet-based architecture of automotive systems," in IEEE International High-Level Design Validation and Test Workshop (HLDVT), pp. 53--61, Santa Cruz, CA, Oct. 2016. D. Gangadharan, J. H. Kim, O. Sokolsky, B. Kim, C.-W. Lin, S. Shiraishi, and I. Lee, (Invited) "Platform-based plug and play of automotive safety features: challenges and directions," in IEEE International Conference on Embedded and Real-Time Computing Systems and Applications (RTCSA), pp. 76--84, Daegu, Korea, Aug. 2016. B. Zheng, H. Liang, Q. Zhu, H. Yu, and C.-W. Lin, (Invited) "Next generation automotive architecture modeling and exploration for autonomous driving," in IEEE Computer Society Annual Symposium on VLSI (ISVLSI), pp. 53--58, Pittsburgh, PA, Jul. 2016. C.-W. Lin and H. Yu, (Invited) "Cooperation or competition? Coexistence of safety and security in next-generation Ethernet-based automotive networks," in ACM/IEEE Design Automation Conference (DAC), pp. 52:1--52:6, Austin, TX, Jun. 2016. D. Gangadharan, O. Sokolsky, I. Lee, B. Kim, C.-W. Lin, and S. Shiraishi, "Platform-based automotive safety features," in SAE World Congress & Exhibition, Detroit, MI, Apr. 2016. H. Yu, C.-W. Lin, and B. Kim, "Automotive software certification: current status and challenges," in SAE World Congress & Exhibition, Detroit, MI, Apr. 2016. C.-W. Lin, Q. Zhu, and A. Sangiovanni-Vincentelli, "Security-aware mapping for TDMA-based real-time distributed systems," in IEEE/ACM International Conference on Computer-Aided Design (ICCAD), pp. 24--31, San Jose, CA, Nov. 2014. C.-W. Lin, T.-H. Hsu, X.-W. Shih, and Y.-W. Chang, "Buffered clock tree synthesis considering self-heating effects," in ACM/IEEE International Symposium on Low Power Electronics and Design (ISLPED), pp. 111--116, La Jolla, CA, Aug. 2014. C.-W. Lin, L. Rao, P. Giusto, J. D'Ambrosio, and A. Sangiovanni-Vincentelli, "An efficient wire routing and wire sizing algorithm for weight minimization of automotive systems," in ACM/IEEE Design Automation Conference (DAC), pp. 19:1--19:6, San Francisco, CA, Jun. 2014. C.-W. Lin, L. Rao, J. D'Ambrosio, and A. Sangiovanni-Vincentelli, "Electrical architecture optimization and selection---cost minimization via wire routing and wire sizing," in SAE World Congress & Exhibition, Detroit, MI, Apr. 2014. C.-W. Lin, Q. Zhu, C. Phung, and A. Sangiovanni-Vincentelli, "Security-aware mapping for CAN-based real-time distributed automotive systems," in IEEE/ACM International Conference on Computer-Aided Design (ICCAD), pp. 115--121, San Jose, CA, Nov. 2013. C.-W. Lin, M. Di Natale, H. Zeng, L. T. X. Phan, and A. Sangiovanni-Vincentelli, "Timing analysis of process graphs with finite communication buffers," in IEEE Real-Time and Embedded Technology and Applications Symposium (RTAS), pp. 227--236, Philadelphia, PA, Apr. 2013. P.-W. Lee, C.-W. Lin, Y.-W. Chang, C.-F. Shen, and W.-C. Tseng, "An efficient pre-assignment routing algorithm for flip-chip designs," in IEEE/ACM International Conference on Computer-Aided Design (ICCAD), pp. 239--244, San Jose, CA, Nov. 2009. C.-W. Lin, S.-L. Huang, K.-C. Hsu, M.-X. Lee, and Y.-W. Chang, "Efficient multi-layer obstacle-avoiding rectilinear Steiner tree construction," in IEEE/ACM International Conference on Computer-Aided Design (ICCAD), pp. 380--385, San Jose, CA, Nov. 2007. C.-W. Lin, M.-C. Tsai, K.-Y. Lee, T.-C. Chen, T.-C. Wang, and Y.-W. Chang, (Invited) "Recent research and emerging challenges in physical design for manufacturability/reliability," in ACM/IEEE Asia South Pacific Design Automation Conference (ASP-DAC), pp. 238--243, Yokohama, Japan, Jan. 2007. H.-Y. Liu, C.-W. Lin, S.-J. Chou, W.-T. Tu, C.-H. Liu, Y.-W. Chang, and S.-Y. Kuo, "Current path analysis for electrostatic discharge protection," in IEEE/ACM International Conference on Computer-Aided Design (ICCAD), pp. 510--515, San Jose, CA, Nov. 2006. C.-W. Lin, Y.-C. Chen, and A.-C. Pang, "A new resource allocation scheme for IEEE 802.16-based networks," in IEEE VTS Asia Pacific Wireless Communications Symposium (APWCS), Daejeon, Korea, Aug. 2006. C.-W. Lin, "From electronic design automation to automotive design automation," in ACM International Symposium on Physical Design (ISPD), San Francisco, CA, Apr. 2019. C.-W. Lin, "Formal QoS compatibility verification for components on Time-Sensitive Networking," in IEEE Vehicular Networking Conference (VNC), pp. 1--2, Taipei, Taiwan, Dec. 2018. C.-W. Lin, N. Arechiga, S. Dai, B. Kim, and S. Shiraishi, "Emerging research topics for intelligent and connected vehicles," in Newsletter of Technical Committee on Cyber-Physical Systems (TC-CPS), no. 3, pp. 9--13, Feb. 2017. T.-Y. Huang, C.-J. Chang, C.-W. Lin, S. Roy, and T.-Y. Ho, "Intra-vehicle network routing algorithm for weight and wireless transmit power minimization," in Workshop on Synthesis and System Integration of Mixed Information Technologies (SASIMI), Yilan, Taiwan, Mar. 2015. C.-W. Lin, M. Di Natale, H. Zeng, and A. Sangiovanni-Vincentelli, "Performance analysis of synchronous models implementations on loosely time-triggered architectures," in Work-in-Progress Session of IEEE Real-Time and Embedded Technology and Applications Symposium (RTAS), Chicago, IL, Apr. 2011. C.-W. Lin and A. Sangiovanni-Vincentelli, "Security-aware design for cyber-physical systems: a platform-based approach," Springer, Jan. 2017. B. Kim, C.-W. Lin, and S. Shiraishi, "Selective remote control of ADAS functionality of vehicle," US Patent 10,203,699, Feb. 2019. S. Shiraishi, M. Yamaura, and C.-W. Lin, "User profile-based automatic parameter tuning system for connected vehicles," US Patent 10,202,127 (JP Patent No. 6,428,835), Feb. 2019. C.-W. Lin, H. Yu, and B. Zheng, "Supervising method for dynamic and large data loads in automotive systems," US Patent 10,124,779, Nov. 2018. H. Yu, B. Zheng, and C.-W. Lin, "Compatibility module to support an automotive system upgrade," US Patent 10,001,988, Jun. 2018. B. Kim, C.-W. Lin, and S. Shiraishi, "Personalized medical emergency autopilot system based on portable medical device data," US Patent 9,932,041, Apr. 2018. C.-F. Chang, C.-F. Shen, H.-S. Chiu, I.-J. Lin, T.-C. Hsu, Y.-W. Chang, C.-W. Lin, and P.-W. Lee, "Routing method for flip chip package and apparatus using the same metal layer," US Patent 8,578,317, Oct. 2010. C.-W. Lin, "Security mechanisms and security-aware mapping for real-time distributed embedded systems," Ph.D. Thesis, University of California, Berkeley, Aug. 2015. C.-W. Lin, "Efficient obstacle-avoiding rectilinear Steiner tree construction," M.S. Thesis, National Taiwan University, Jun. 2007. • Thank colleagues, university collaborators, and interns for the great contributions!